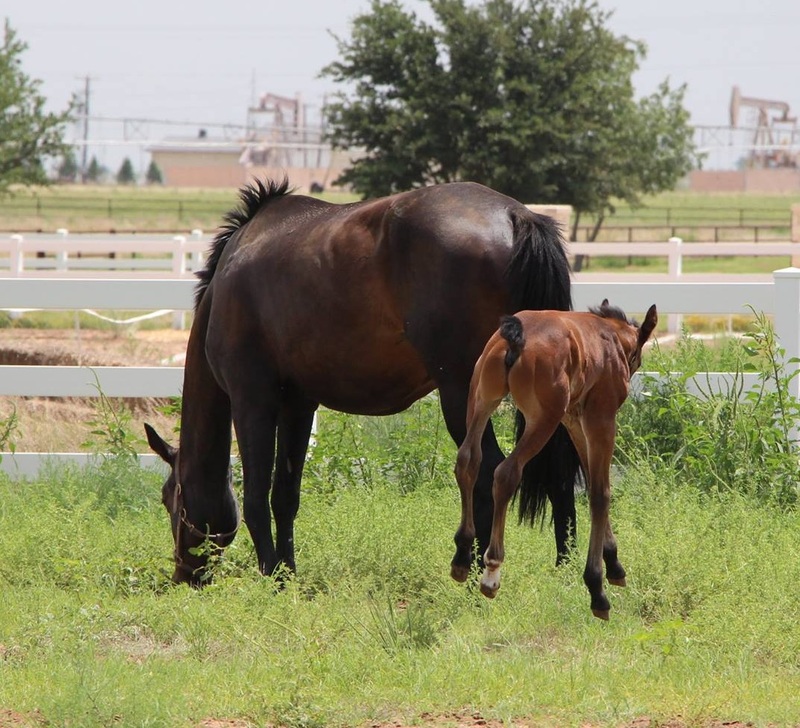 Last Thursday I made the 5 hour trek out to West Texas to see Sadie and meet her baby. He has officially been dubbed Merlin and he’s kind of the cutest thing ever. Not that I’m biased… he’s not my baby, but he’s my baby’s baby… does that count as biased? Probably. Anyway, trust me, he’s adorable. 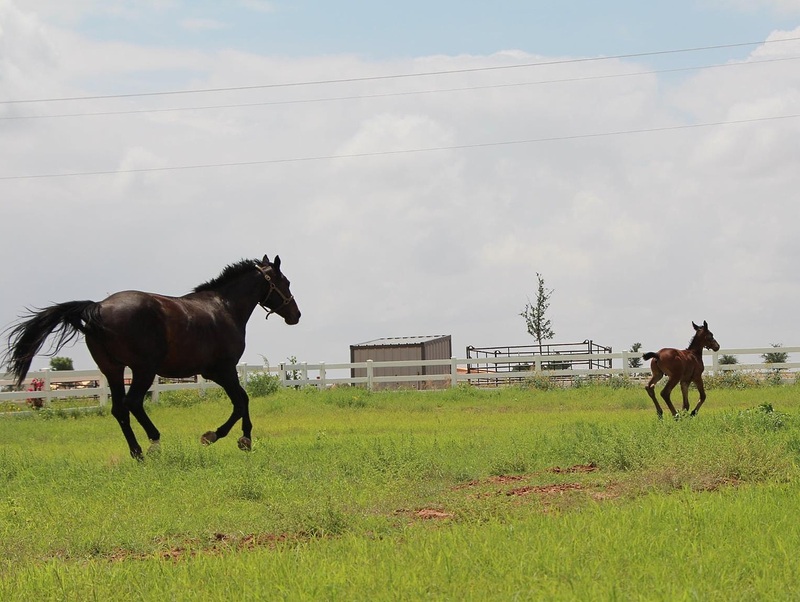 It’s really neat to see the things that Sadie passed down (a lot) and the things that the stallion Mezcalero improved (longer neck, more uphill canter). 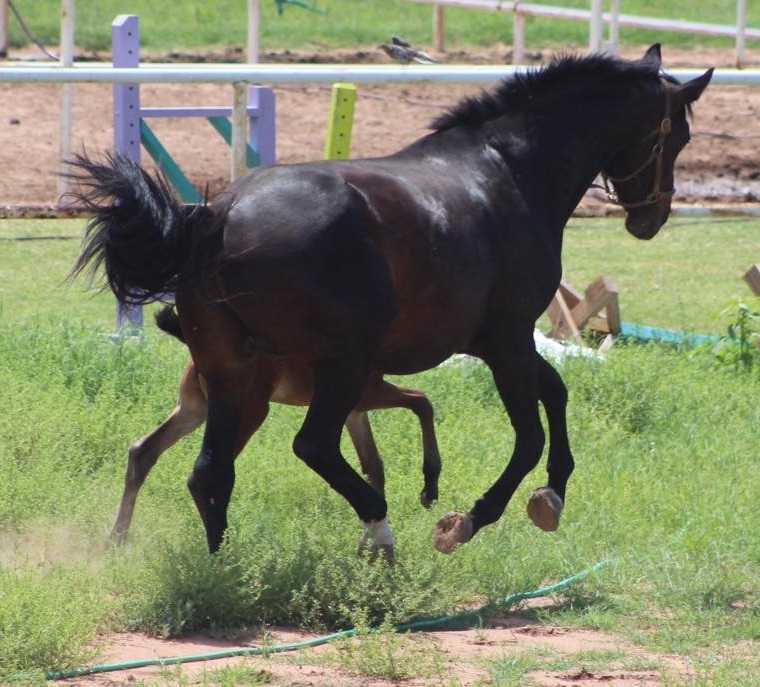 That colt has legs for miles and is super super springy – definitely a jumper. Sadie is the best mom… very attentive and totally in love with him. It’s pretty cute to see. Not only did she produce a great first baby, she’s good at the “mothering” thing and seems very content with her new role. 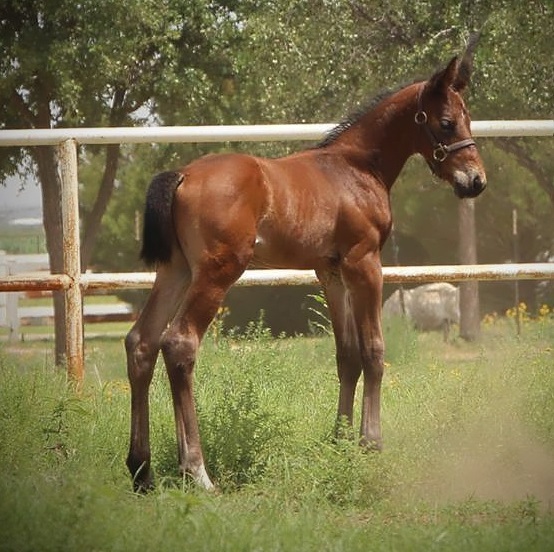 Someone is going to get a really nice colt with this one. Previous Fourth of July Sales! omg he is sooooo cute!! I love his videos, he is just darling! that itchy video is too stinkin cute! 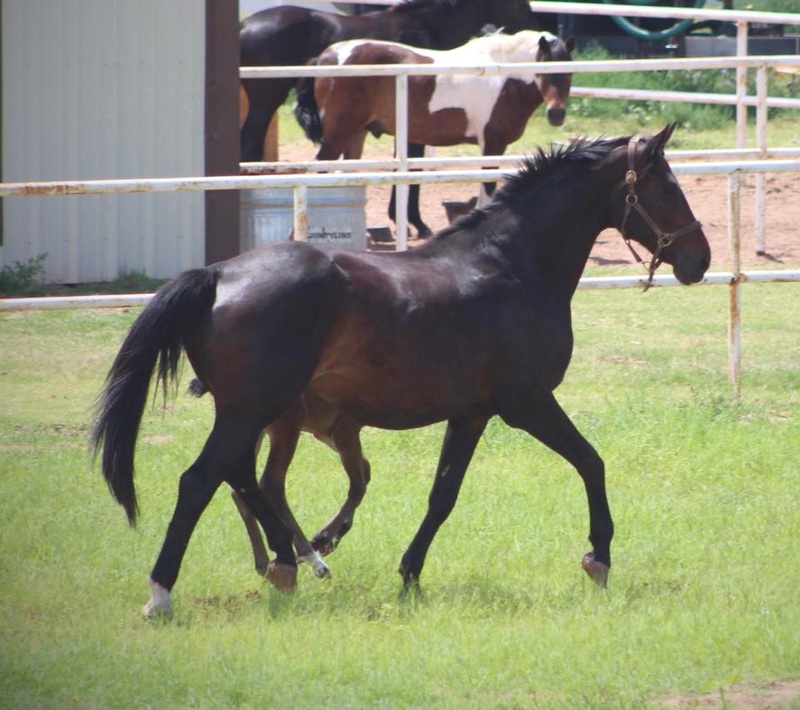 excited to hear about future plans for both him and Sadie! 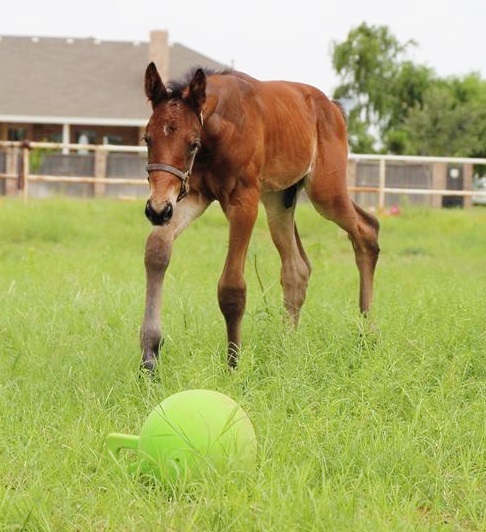 I think he’s going to be a bit big for an eventer. 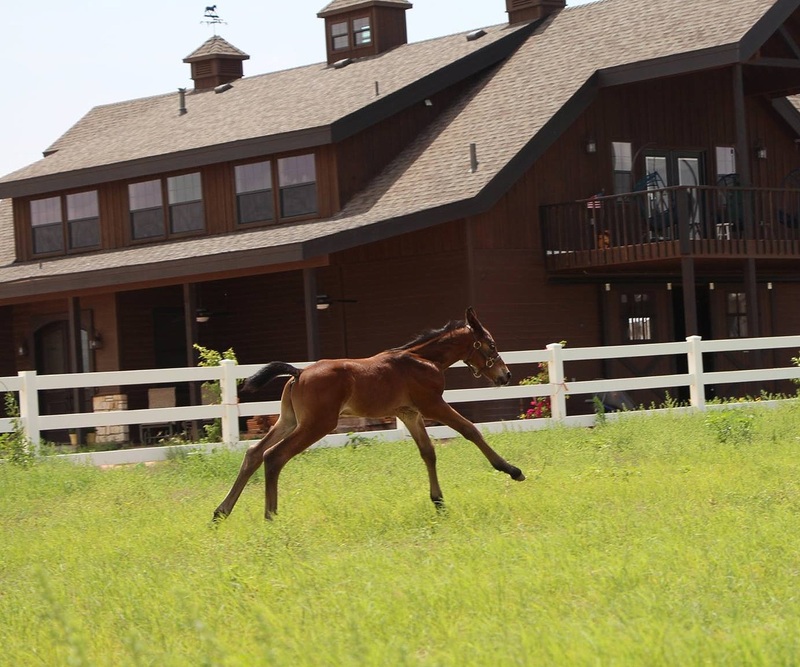 He’ll make a great jumper or possibly derby horse. He is so stinking adorable i can’t even! But.for real he is sooooooooo cute and I just want to kiss his little face!! I just want to snuggle him! So freaking cute. 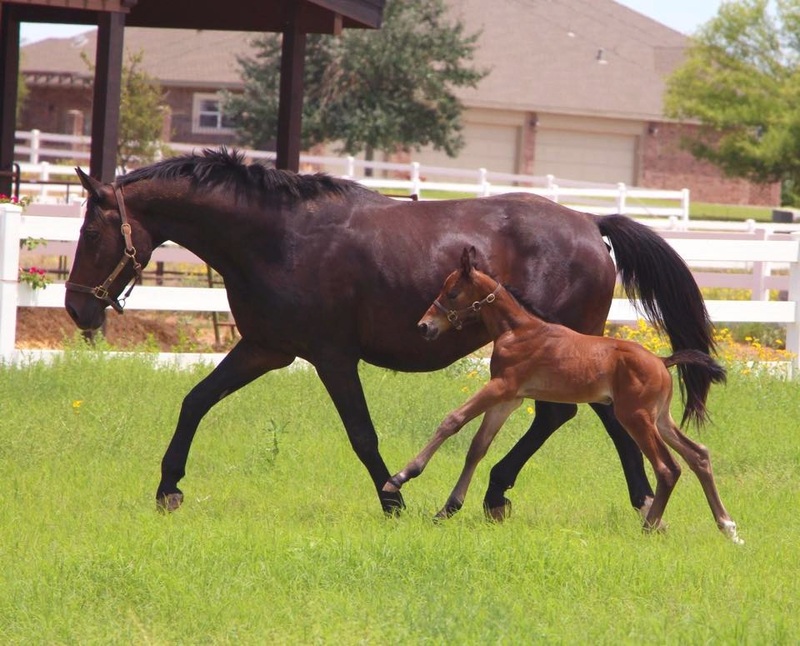 Awwww, I love little foals who love their scritches. Too cute. I wouldn’t be able to accomplish anything in my life if he was at my house!